In the Press « Are You Preggers? 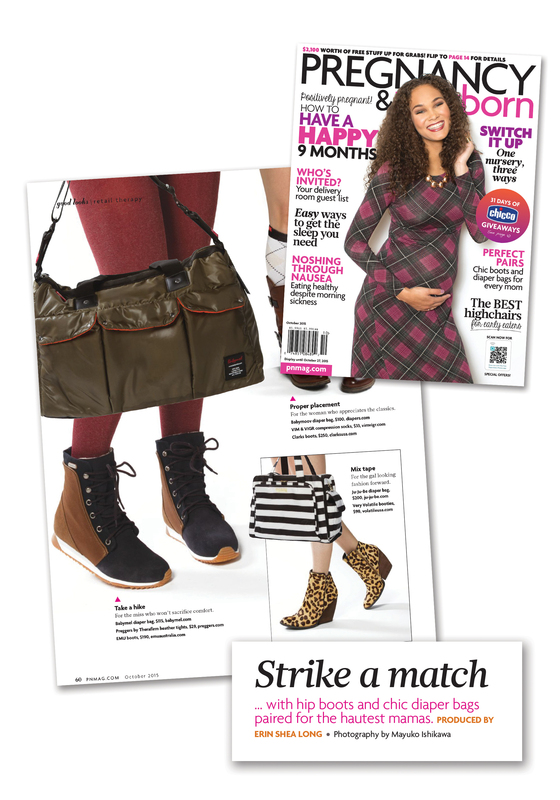 The gorgeous new fall Go-To Fashion item from Preggers is featured in the October 2015 issue of Pregnancy & Newborn. Berry Heather tights feature a new textured material for a beautiful and fashionable look. Thanks P&N for introducing your readers to benefits of Preggers legwear! Read more about Preggers legwear benefits here! Hot off the press! Preggers’ beautiful Gradient Compression Maternity Leggings featured in Pregnancy & Newborn Fall 2015 Buyer’s Guide issue. Maternity compression legwear is a fashionable addition to any ensemble. Thanks P&N for introducing your readers to benefits of Preggers legwear! Post pregnancy belly wrapping seems to be quite trend in the pregnancy and postpartum communities. While the trend may be relatively new in the Western world, it has actually been known in other cultures for a long time. Long pieces of fabric have been traditionally used to wrap around the belly multiple times to provide abdominal compression. These wraps have gone by many different names in each part of the world, but the goal is the same – to assist in weight loss and toning of the abdominal muscles after birth. As the western world has grabbed onto this concept and altered it for the modern mama, many women have adopted the claim that belly wrapping will give them a slim and toned belly much quicker. But, does it really work? The jury is definitely still out on this one. Some physicians and other experts say that, without a doubt, belly wrapping will give a postpartum mother back her pre-pregnancy shape much quicker, claiming that the abdominal compression reshapes the abdomen, returns a uterus to normal size, promotes skin healing and even returns a woman back to her normal routine all in a faster amount of time than a traditional postpartum recovery. But, as with every debate, there are other physicians and experts that disagree. Their argument is that the only true way to return to your pre-baby body is with a healthy diet and regular exercise. Most experts on this side of the debate say that although the wraps don’t really help, they also do not really hurt, saying that wearing a belly wrap can help you fit better into some clothing, as well as making you feel more comfortable and therefore more likely to move or exercise. However, there are some that claim that the wraps can be counterproductive in that belly wraps prevent a mother from strengthening her core abdominal muscles. While the debate continues on, there is one thing that almost everyone can agree on – that gentle abdominal support and compression does help a postpartum woman feel more comfortable (especially after a c-section) and promote recovery. The Postpartum Support Band from Preggers is the perfect bridge to this debate. 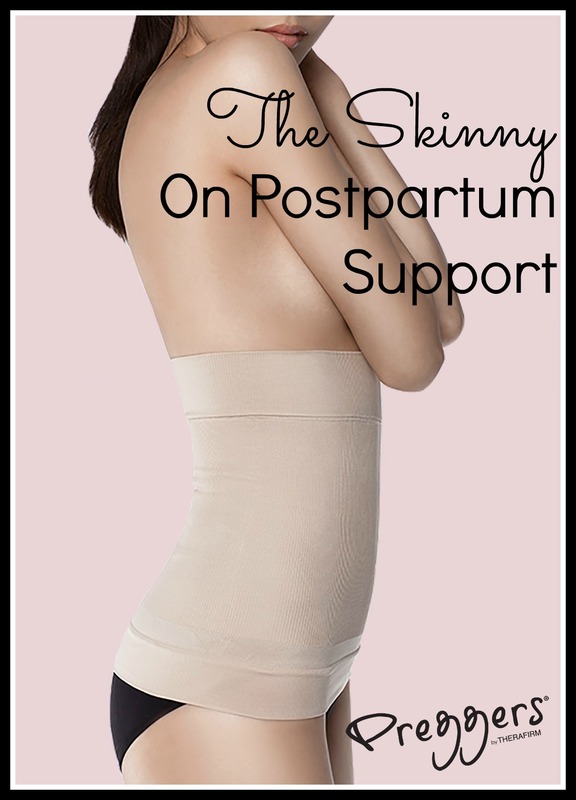 Our Postpartum Support Band gives new mamas gentle support and compression to the back and abdomen promoting a quicker and more comfortable recovery. The seamless and super soft material is comfortable against the skin and not irritating. The support band can easily adapt to most body shapes due to its super elasticity. It gently clings to your body allowing it to be worn discretely under clothing. Before wearing the Preggers Postpartum Support Band, or any other type of post pregnancy product, check with your healthcare provider to make sure it is the right product for you. In In the Press, On Us! Hot off the press! Preggers’ beautiful new color for spring and summer featured in Pregnancy & Newborn March 2015 issue. Maternity compression legwear in silver, along with white and ocean, is a fashionable addition to any spring or summer ensemble. Thanks P&N for introducing your readers to benefits of Preggers legwear! 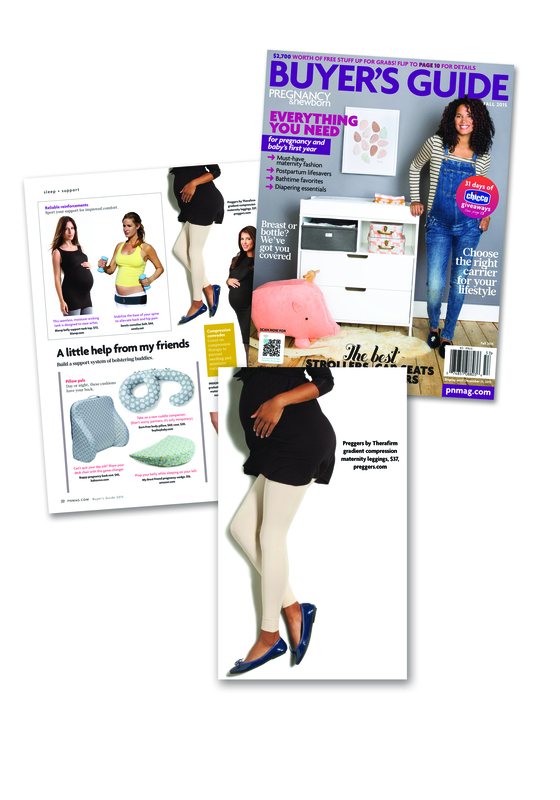 Pregnancy & Newborn featured Preggers maternity compression tights in their September 2014 issue. The tights are shown in black, but that’s only one of the great colors offered. Thanks P&N! Read more about Preggers legwear benefits and get some here! 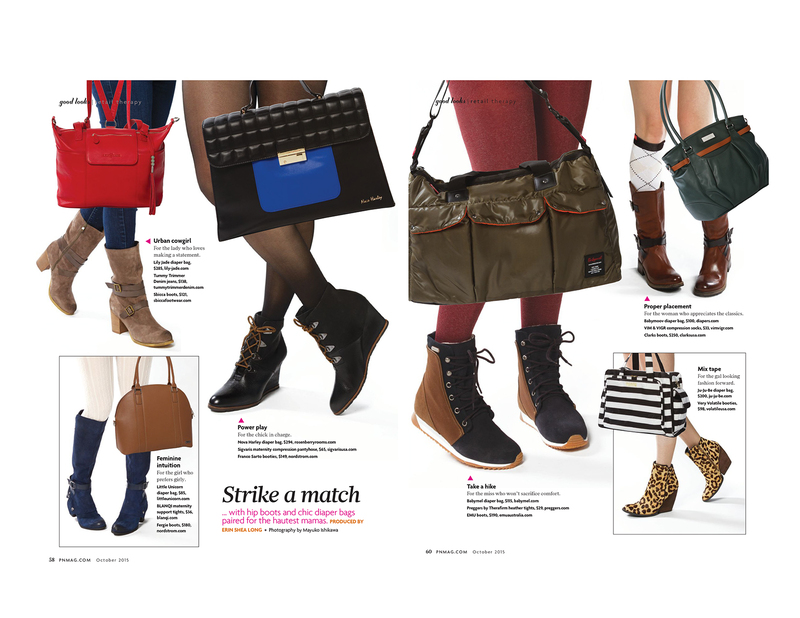 2014 Fall Colors featured in Pregnancy & Newborn Fall 2014 Buyer’s Guide. Thanks to P&N for featuring our compression leggings, which will help expecting mamas to improve blood flow and minimize swelling! New higher compression from Preggers includes pantyhose & casual socks with 15-20 & 20-30 mmHg true gradient compression. Now mommas with more mild to moderate swelling can feel the relief of Preggers support products. Our 15-20 mmHg Casual Maternity socks in white are designed to help prevent edema, leg discomfort, and deep vein thrombosis for long distance travelers. * Shop your options for Preggers 15-20 & 20-30 mmHg Support today! *Contraindications: Any skin irritations, allergies to dyes, congestive heart failure, arterial disorders, existing DVT. If any of these conditions apply, please consult your physician for advice.